Michael henderson, Trevor Giblin, Anne Gurney, Anne Corbett, Kris and Wayne Moore, Euna Levinson, Robert Lowman, Colleen Loudon plus guest Christina Henderson. Awarded World Heritage status in 1986 this Park is one of only 18 in Australia to be given this recognition. Saved from the early timbergetters seeking the prized Red Cedar it was finally created a National Park in 1969. 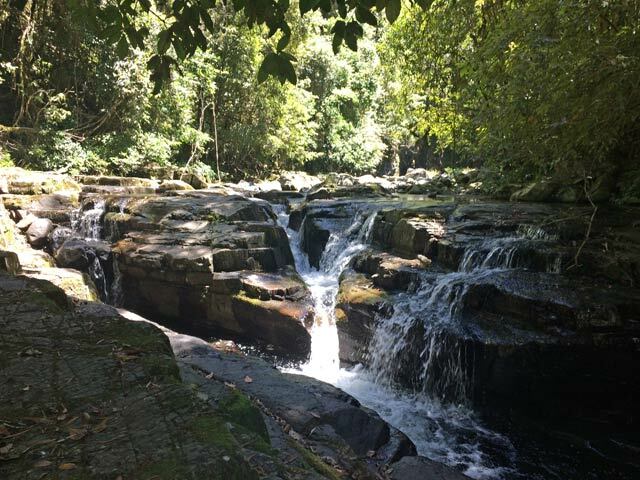 This 16km walk is arguably one of the best rain forest walks in Australia. 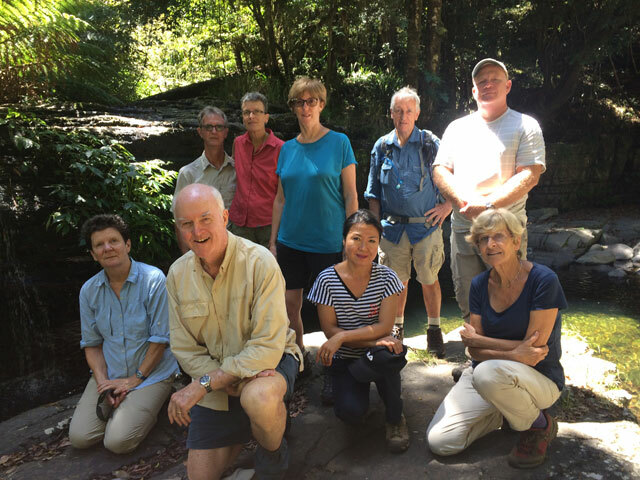 A small but enthusiastic group set off from the Williams River Picnic Area following and crossing the river through to Rocky Crossing. 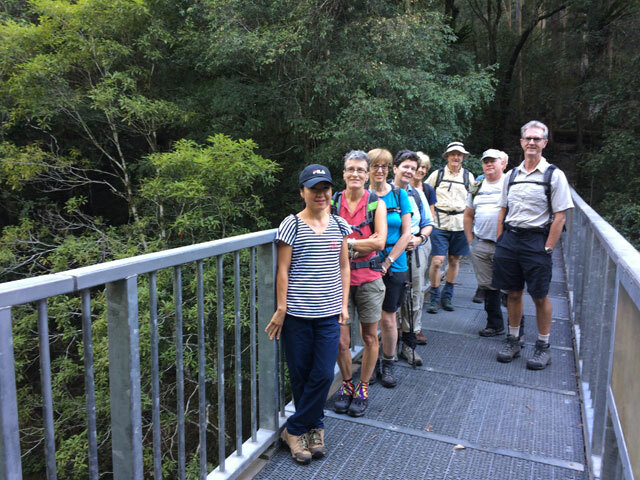 On a well established leafy track we walked through continuous subtropical rainforest with Sassafras, Red Cedar, Sydney Blue Gum, giant Figs, Turpentine, Illawarra Flame and giant Stinging Trees, some exceeding 60m in height. This part of the forest has not been burnt in the lifetime of the Gums, probably several hundred years. 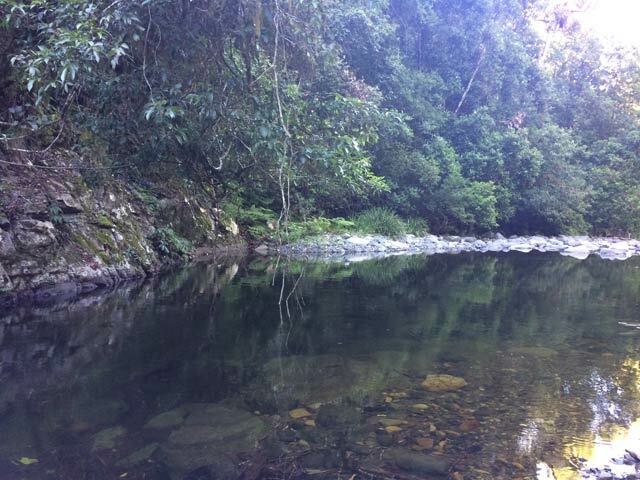 We sidetracked down to the Pool of Reflections for morning tea and sat peacefully in this magic spot. The next diversion was to Lion Rock suitably named after a rock formation in the shape of a sleeping lion. Returning to the main track we passed several groups of fungi both on the ground and on the trees which delighted the photographers in the group. The Lyrebirds were also entertaining us with their varied songs. 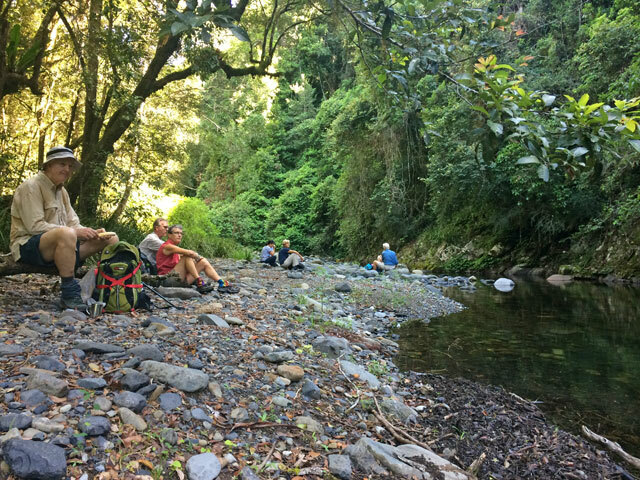 Arriving at Rocky Crossing with its beautiful mudstone terraces and cascading waterfalls we had an extended lunch break. Whilst the water looked so clean and inviting no one ventured in even for a paddle. Having had snow the previous day at its source the temperature was on the cool side. Our return was a gradual descent to the car park with all present agreeing that this walk was well worth it. In total shade the whole walk meant that the usual sun protection was not needed.